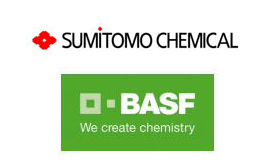 Sumitomo Chemical and BASF, two of the world’s leading chemical companies, announced today that under an existing joint development framework, Sumitomo Chemical has submitted a registration application in the EU for the novel fungicide compound with the ISO common name metyltetraprole1. The fungicide, discovered by Sumitomo Chemical, will be trademarked as Pavecto®. 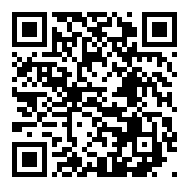 The compound belongs to a group of fungicides known as Quinone outside Inhibitors (QoI), and with the chemical structure tetrazolinone, represents novel chemistry in this group. Pavecto® differs from existing QoI fungicides because it controls pathogens that have developed resistance towards strobilurin fungicides currently available on the market. Through this collaboration, both companies have demonstrated that Pavecto® is a highly effective fungicide for the control of a broad range of diseases, including Septoria leaf blotch in wheat. In addition, Pavecto® will play an important role in resistance management, providing growers with an innovative tool to protect their crops and secure yields. Further submissions of the registration dossier are planned globally. Pending regulatory approval, Sumitomo Chemical and BASF expect market introduction of Pavecto®-based formulations in the EU from 2022 onwards.